There are plenty of things to do and experience in Abuja, Nigeria. There are plenty of things to do in Abuja, Nigeria. With an impressive array of tourist activities, as well as a rich history for those fascinated in that subject, Abuja offers a lot to both backpackers and tourist alike. However, with a wide variety of restaurants to choose from, we’ve decided to cut down your choice to 10 of the best places to eat while your in Abuja. The food itself fits right in alongside the interior, with fantastic preparation and presentation. What is more, large portion sizes means you will get excellent value for money, even if the price does seem a bit on the plush side. The Spice Platter really is one of the best restaurants in the capital of Nigeria. When you visit this restaurant, you must try Suya, this is a hot and spicy grilled beef. (Make sure you get it well done)! This dish never has anything negative said about it, so you are really missing out if you don’t check it out. Also worth trying is "Masa" which is baked rice, that gets grilled before serving. 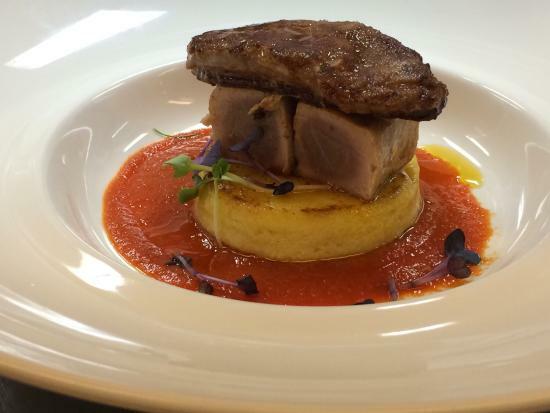 The restaurant itself is always busy, so get in there early, as the popularity of the restaurant is well known. The chicken suya is also worth trying if you don’t want to go for the beef. 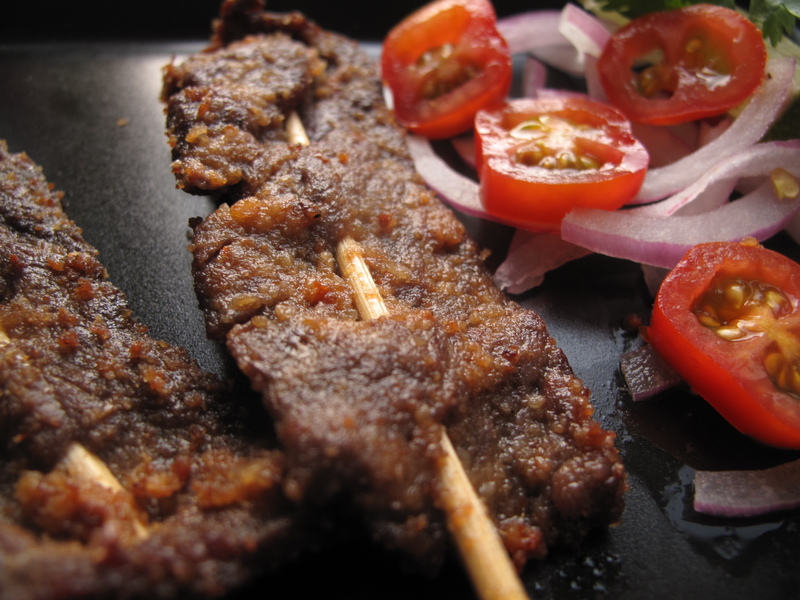 Aside from the taste of the food, Yahuza Suya offers great value for money. You can’t afford to miss this restaurant and bar in Abuja. If you’re a person with hygiene trust issues, the Yahuza Suya will not let you down. With cleanliness and safety not overlooked. Overall, if you’re on the hunt for local specialities, look no further than Yahuza Suya. For those who want to sample the local food, the menu caters for this as well. Vegetarians also shouldn’t fear, as there are plenty of these too. It’s no more than ₦3500 for food and two beers, so no more needs to be said the restaurant in terms of price. Hospitality and service is first-class. The locals regard Serendib as the best in town for Indian and Asian cuisine; no endorsement can top that really! 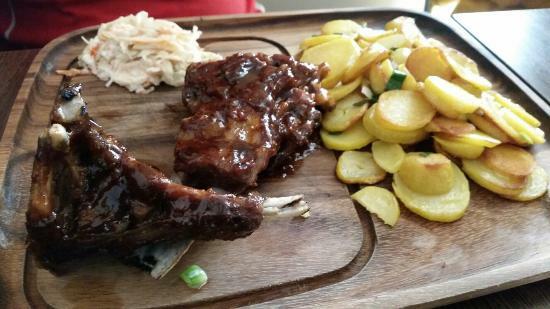 With stunning views and delicious food, the Serendib should be on everyone’s itinerary. 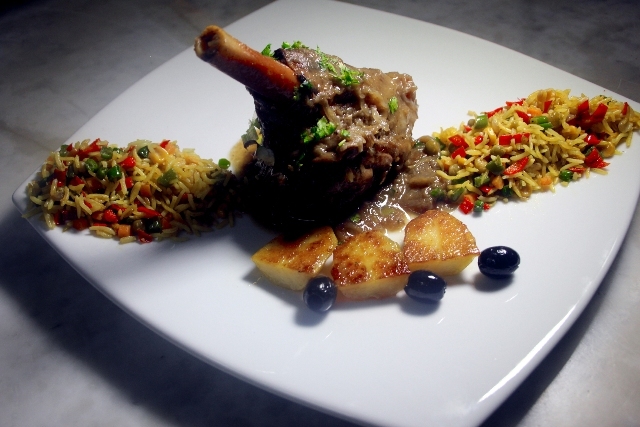 The Chez Victor is a rare example of French orientated cuisine in town. The lobster bisque is one dish that should be chosen if you are indecisive/want something new. The food is a throwback to home cooked French style food. Make sure to book tables in advance, as the restaurant fills up very quickly. The owner himself comes down to engage with the customers and make sure everything’s okay. If you’re looking for a family experience at a low cost, the Chez Victor should be near, if not at the, top of your list. The Zuma Restaurant is for those who want a more fine dining experience. It is based within the Hilton Hotel. As expected, it is for those who want to indulge themselves a bit more, with the Zuma being one of the more expensive establishments on this list. The price should not deter those steak lovers, as there is no place better. The wine compliments the meal superbly. The quality of preparation and presentation more than justifies the price. As a continental restaurant, there is a strong Western feel, for those who either want a reminder of home or feel something more European/American. While there are limited opening times, this is offset by the fact that the Zuma is not crowded, meaning that you should always find a place if you decide to walk in on the spur. Adjoining the restaurant is a jazz lounge with a live band which adds to its charm. To put it simply, if you are willing to shell out that bit more, you will be rewarded with a richer and more pleasant experience. Dreams has a vibrant atmosphere with a large outdoor dining space, which can be used to either enjoy the weather or socialise. Many use Dreams as a place for after work cocktails, with the restaurant having a mature crowd. The staff are attentive and pay close attention to detail, accommodating of any particular tastes. Fascinating for tourists and locals alike, is the ability to choose the live fish which you want to eat. Ultimately, to experience the local flavour, both in terms of culture and cuisine, Dreams is an ideal restaurant. What grilled fish? 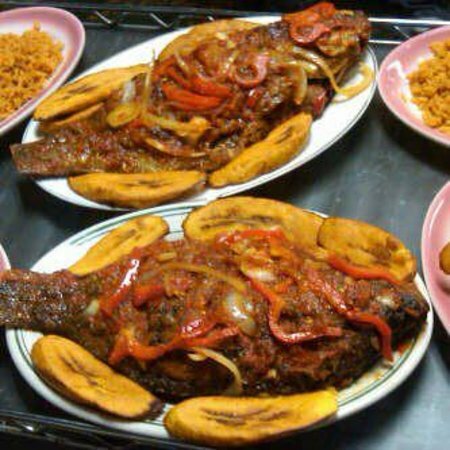 Zander’s offers the best grilled fish in Nigeria! Before you accuse us of exaggerating, ask the locals. There is plenty of outdoor seating with quick customer service. With a relaxed vibe and a creative menu, Zander’s Place offers you the opportunity to be picky and artistic while enjoying a calm and melodic atmosphere. As with any good restaurant, Zander’s Place offers fresh and hot food, having a rich taste of contemporary African dishes. Moreover, there is an open kitchen plan, so you can see the chefs hard at work on your meal. All the prior above qualities means that Zander’s Place deservedly features in our top 10 list for best places to eat in Abuja. Traffic is the perfect place for food and drinks, with there being an abundance of cocktails on the drinks menu. The chefs do not scrimp on the portion sizes and the seating arrangement leads to a nice, chilled, ambience. Traffic’s designers really got it right, with a open garden bar that is tastefully furnished. As with all our suggested restaurants, Traffic’s service is brilliant. On top of this, is the menu with a huge variety of choice. You really aren’t limited with what you pick, and you will be willing to go back again and again to sample more delicious delicacies. If you’re looking for a tip from us, you really should try the chicken speciale. As the name suggests, this really is a special dish, comprising of Spanish rice and wings. Highlighting Traffic’s unique customer service, is their policy of marking your bottle after you, so that when you visit again, you can continue drinking from the same bottle. Really, if the above doesn’t please you, nothing will. The Nile Place Restaurant offers a continental and African mix of dishes, meaning if your party is split between the two types of food, this restaurant offers the perfect compromise. The layout of the restaurant really is a plus factor, with a small outdoor area at the front and a more spacious area at the back. 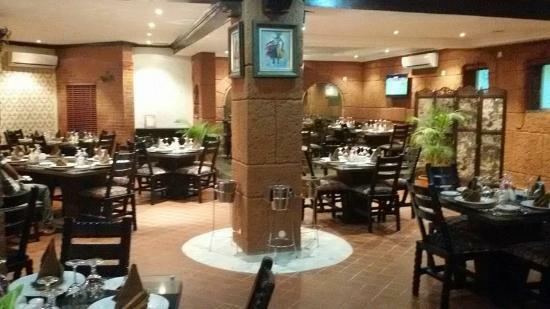 Inside, there are three sections, with a formal dining space with regular dining tables and chairs. There is also a business section with nice couches and glass top tables, complimented by contemporary artwork. Finally, there is a Moroccan section, which has rugs and provides a cosier feel. It has low chairs and throw pillows, also offering shisha. Depending on which section you go to, you can enjoy a buffet at an affordable price. All this with quick service and tasty food means that for a more cultured venue, the Nile Place offers a lot for your money. As with many of the aforementioned restaurants, the Barkano grill also has a speciality. Barkano caters mainly for those more partial to wings. The cliché, good food at a good price, is not amiss here. With a wide variety of cocktails adding to the overall experience. Additionally, large portion sizes allows a group to mix and share, sampling a wide variety of different dishes. The Barkano Grill is stationed right outside of the mall, meaning it is accessible to those either tired due to a busy day of shopping, or else providing a respite at lunch. Many of those who frequent the Barkano Grill order the chicken, as well as the wings. Not much else can be said, other than for those on a shoestring budget, the Barkano Grill more than offers value for your dollar. 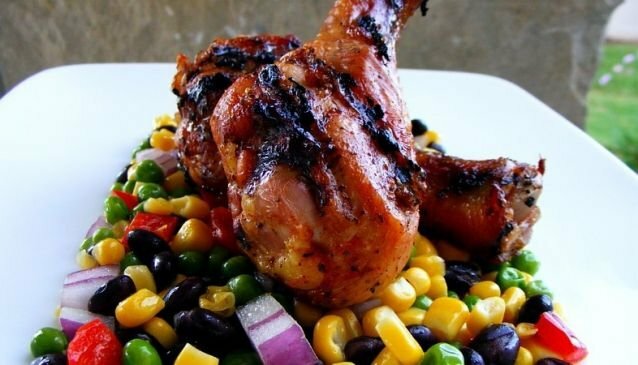 Despite not being an exhaustive list, at My Guide we do realise there are many other worthy places that all have solid claims to make this list, however this should provide you with a comprehensive list on Abuja’s finer restaurants. With the variety on offer and affordable prices, there really is no excuse to not visit the majority, if not all, of these venues. Let us know if we’ve missed any hidden gems that you or your friends have discovered during your time in Abuja, and we’ll certainly give it a go!